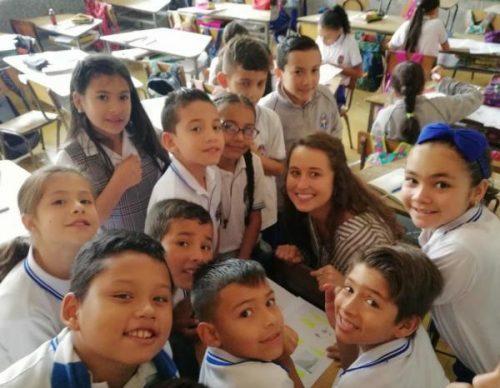 Minga Teachers, a Non-Profit Teaching English as a Second Language company that places English teachers in Colombia and China. In the realm Teaching English as a Second Language (TESL), the organization has been recognized as being a front runner in placing English teachers in foreign countries. This news coincides nicely with Minga Teachers’s recent recognition as a community favorite. The company has been in business since 2014, making charitable contributions, doing capacity building and recruiting volunteers..
Minga Teachers has been operating in the Primary and Secondary education market for TESL, since 2014 and competes against notable businesses such as Hearts for Change and ESL Starter. They have been able to make such a strong impression on the market and gain reputationbecause the company has management experience working with U.S. higher educational institutions in identifying perspective candidates for teaching opportunities abroad and has a clear understanding of how the educational grant management system works. Glen Galindo, Minga Teachers’s President spoke about its recent recognition, expanding on some of the decisions and motivations that led the business to the level it’s currently reached. Glen Galindo also mentioned Minga Teachers’s future plans involves the hope to open markets in the Middle East, South Korea, Ecuador and Chile. It’s the goal of the company to have the ability to place five thousand active teachers worldwide, annually. It would be nice to have the ability to meet educational demands, while granting our teachers the opportunity to travel and work all over the world. Minga Teachers plans to maintain its position at the forefront of placing English teachers in foreign countries for years to come, building on its success, finding new ways to serve its community, customers and the world at large.